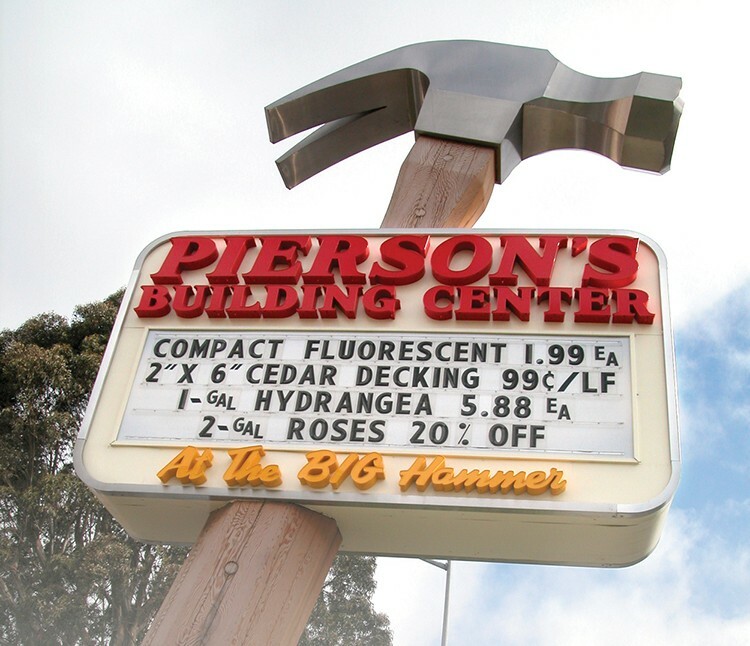 The Big Hammer at Pierson's. Here's to Pierson's Building Center, whose staff have made my experience as a first-time homeowner a relatively easy ride. Sure, there's still a tarp on my roof and pickets falling off my front fence, but every time I walk through the front door of Pierson's and smell the free coffee, I'm inspired to do projects I never before thought possible. The staff have never "little lady'd" me, nor tried to upsell me on mildew-resistant anything. They've patiently cut lengths of wire that — upon inspection — were the wrong size, and cut another length again, without charging me. They've helped me flick through the color racks in the paint department, warned against splinters in the lumber yard and humored my poorly behaved dog when he leaped out of my truck looking for treats. And they're open at 7:30 a.m., meaning I can cruise through before work and feel like I've made a productive start to my day.